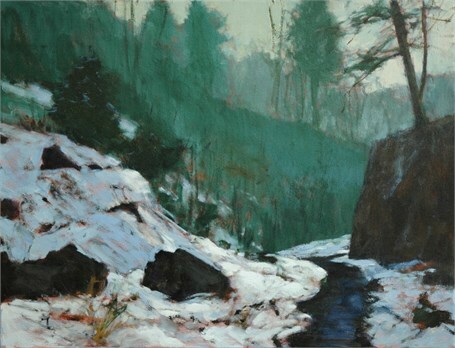 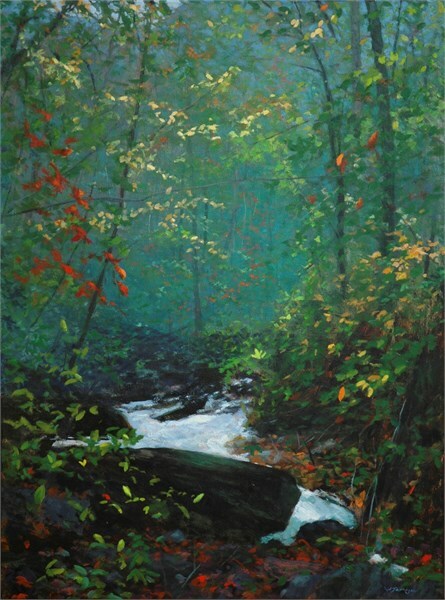 Anglin Smith Fine Art presents a selection of new paintings by Bill Jameson in an exhibition entitled Appalachian Textures, opening with a reception on December 2nd. 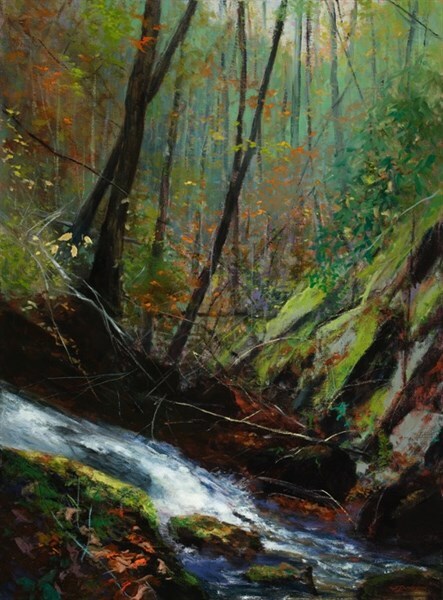 “After studying at Ringling College of Art in Sarasota, FL, graduate school at the Instituto Allende, San Miguel de Allende, Mexico; and years of living and painting in NYC and Charleston, my interest in the mountain landscape led me to relocate to the historic village of Saluda, NC. 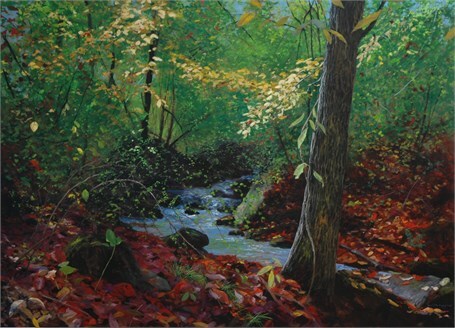 My passion for nature allows me to create introspective landscapes embodying the full range of local color and timeless contrast. 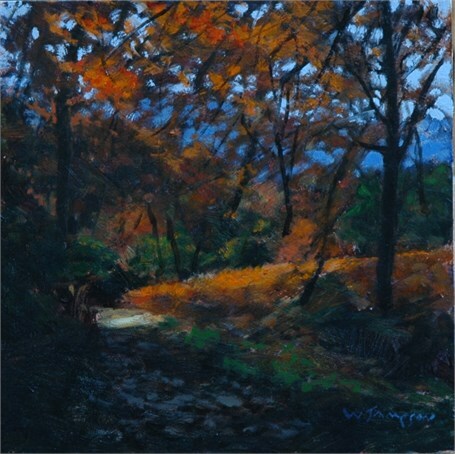 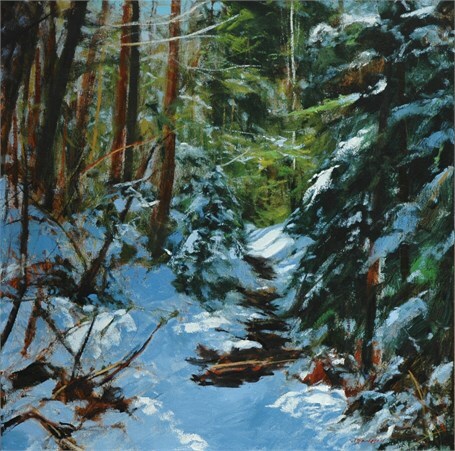 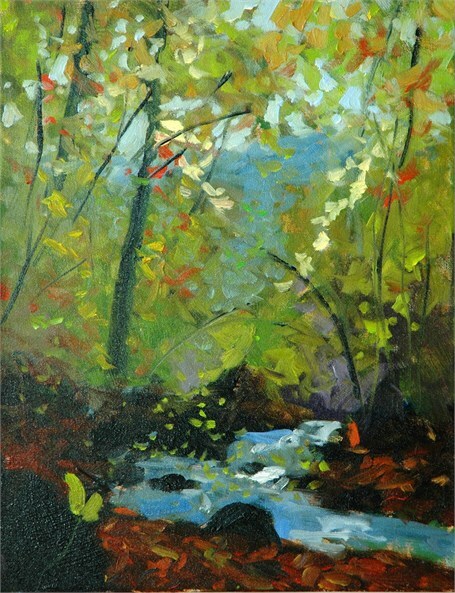 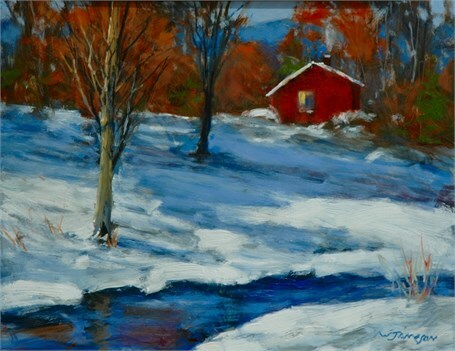 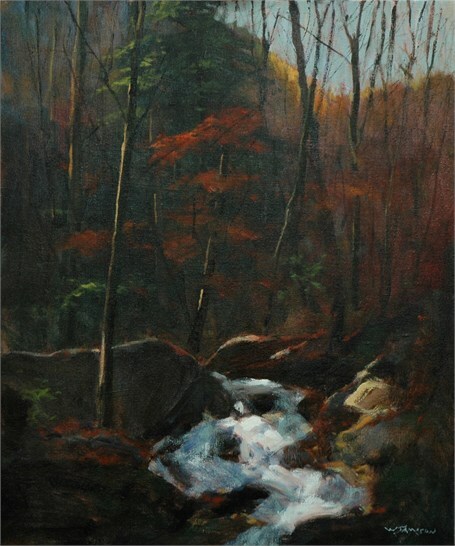 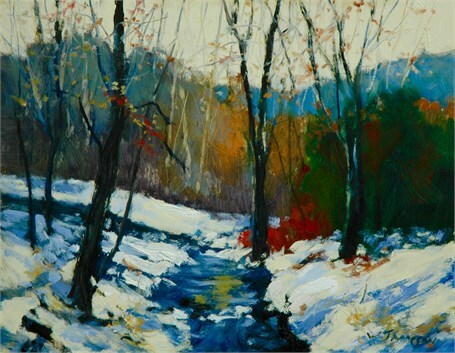 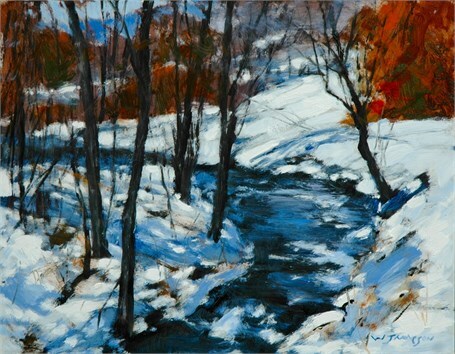 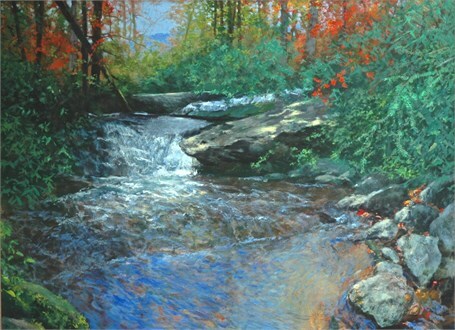 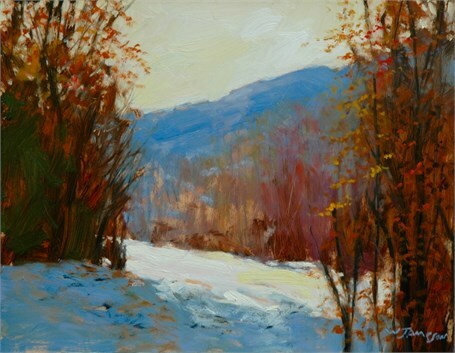 The setting captures the brilliant warm or cool colors heralding the arrival of each season in the Appalachian Mountains. 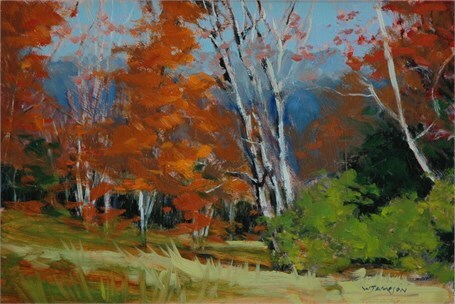 By exploring my subject matter in detail, the process reveals the mystery and profound power of nature. 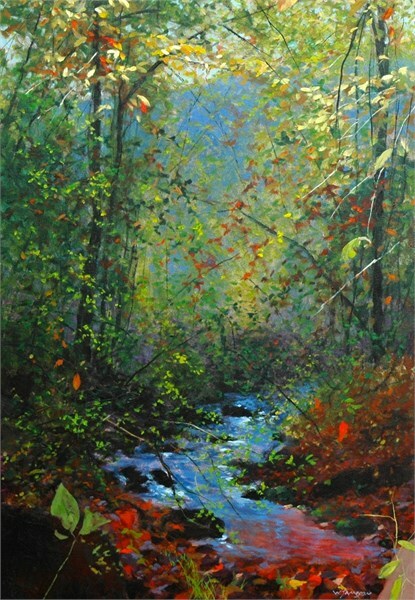 The effect is a literal and sentimental interpretation of nature; each painting is a reflection of the relationship between man and nature; painter and observer.” -Bill Jameson Jameson’s paintings can be found in permanent collections of The Ogden Museum of Southern Art, New Orleans, LA; The South Carolina State Museum, Columbia, SC; the Greenville County Museum of Art, Greenville, SC; The Gibbes Museum of Art, Charleston, SC; the Burroughs-Chapin Museum of Art, Myrtle Beach, SC and the U.S. State Department’s Art Bank. 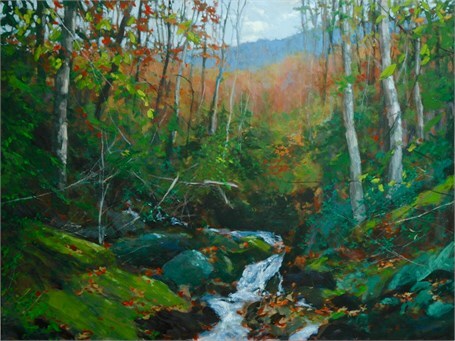 Appalachian Textures will be on view at Anglin Smith Fine Art, at 9 Queen Street in Charleston, from December 2-16. 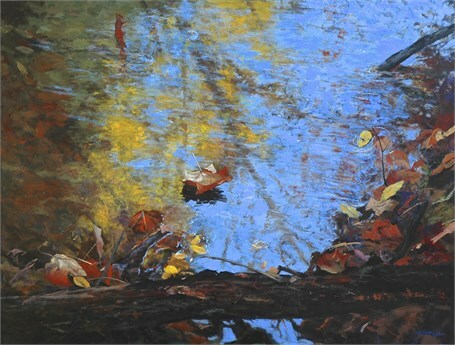 There will be an opening reception on Friday, December 2, from 5 – 8pm.